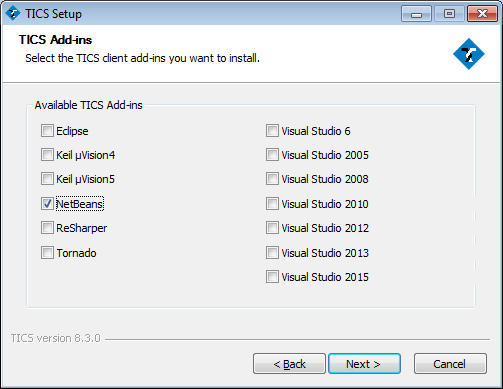 When getting to the TICS Add-ins dialog, select NetBeans. 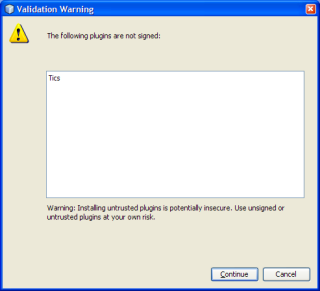 Add the TICS Plugin to NetBeans without installer. 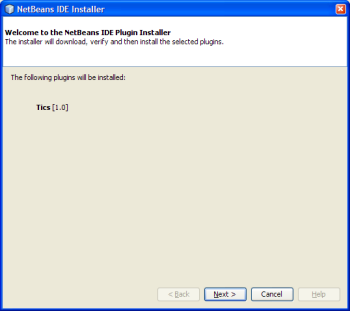 Follow the steps to add this plugin to your NetBeans environment. 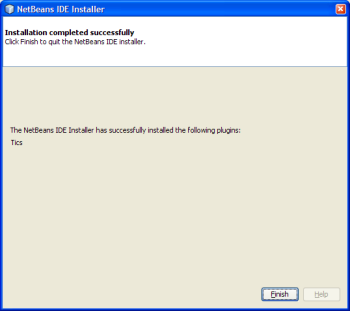 In NetBeans IDE, select Tools->Plugins. Select the Downloaded tab and press Add Plugins.... Then select the com-tiobe-ticsbean.nbm file. 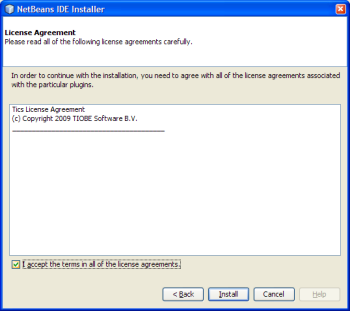 Follow the dialogs until installed. When finished, the TICS icons will be visible in the toolbar.